We love the summer sun just as much as you do and want you to look your best in it, so we’ve put together FOUR special offers this month to make sure your skin looks amazing – and stays protected – in the month of July. PS: We also snuck in a special chance to win even more savings just by dropping your name in the contest when you visit us for any aesthetic treatment or consult in July! We look forward to seeing you this month to help you continue to look your best! 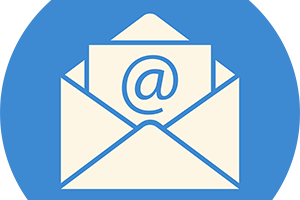 Call us at 919-307-8033 or email us anytime at Hello@AzuraSkin.com to schedule your next treatment or consultation. 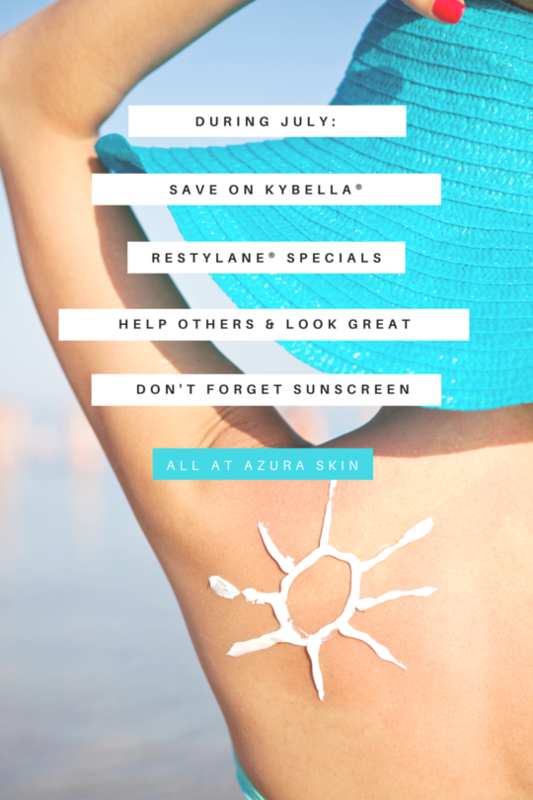 July specials at Azura Skin Care Center in Cary – including Kybella, Dysport, Botox, Restylane, and more! Save on KYBELLA®: Enjoy $100 off each 2.0mL of KYBELLA® – regularly $600 per 2.0ml, now just $500 per 2.0 ml! Restylane® Specials: Restylane silk, Restylane-L, and Restylane Lyft are all $75 off and $50 off your second syringe if you are a member of Aspire Galderma rewards. If not, join ASPIRE Galderma Rewards this month and come in for your savings. If you are new to Aspire, you will also receive a $20 rebate for joining! Don’t Forget Sunscreen: Sun protection is so important to your daily skincare routine, especially in the summer! Take 10% off all sunscreen products we have in the spa by EltaMD®, JOURNÉE by NeoCutis®, and ZO® all month long. Just Because We Love You: Register to win one KYBELLA® treatment at half price just by entering the contest by dropping your name in the drawing when you are here for any aesthetic treatment or KYBELLA® consult in July!